This kitchen represents the proverbial heart of the home - the place where family congregate, eat, chat and even do homework! 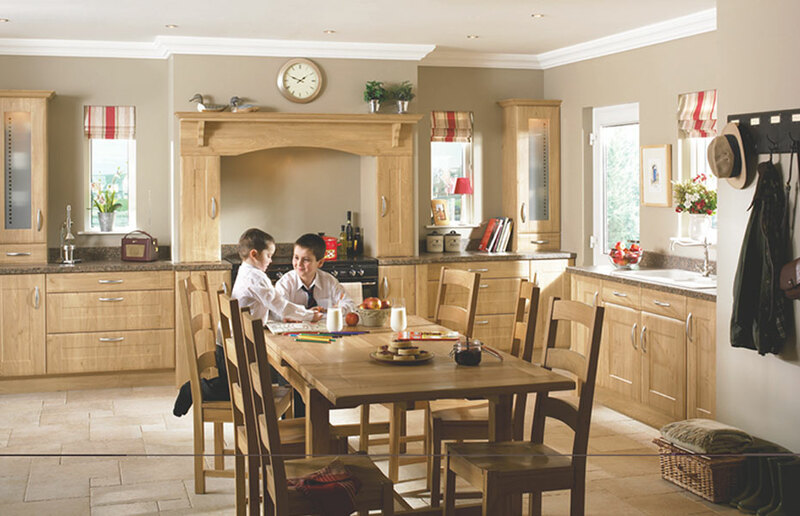 The simple Shaker doors with chamfered edges and modern handles add a modern twist to the Winchester Oak finish. 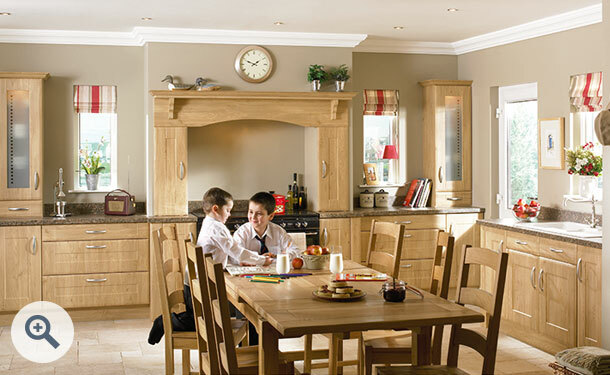 Click the button to purchase a Sample Shaker Auckland design door in the Winchester Oak finish.